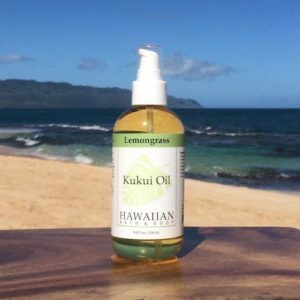 Moisturize your way to Naturally Healthy Skin with Kukui Nut Oil! Uplift your spirits with invigorating Lemongrass, Lavender, and Rosemary Essential Oils blended with Hawaiian Kukui Nut oil. 4 oz.